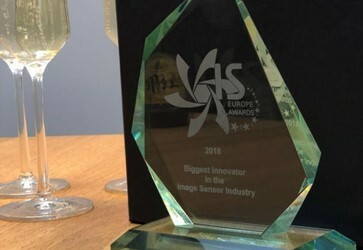 Leuven --- Xenics announces today that it has been named the winner of the “Biggest Innovator in the Image Sensor Industry” category in Image Sensors Europe Awards 2018. Hailed as the leading European event to drive forward the future of sensor applications, the award acknowledges the most outstanding achievements of companies and individuals. The winners were announced aboard the ERASMUS on a Thames river cruise as part of an evening drinks reception for the three-day conference.